In a quite historic move from the previously LGB charity Stonewall They said that from today they will campaign for Lesbian, gay and bisexual and trans equality and rights. Stonewall has spent the last number of months meeting over 700 different trans* people respercenting as much as the spectrum as possible. As a result of this they come up with a report outlining out lining about making current and to also develop new ones on trans issues and also about training. 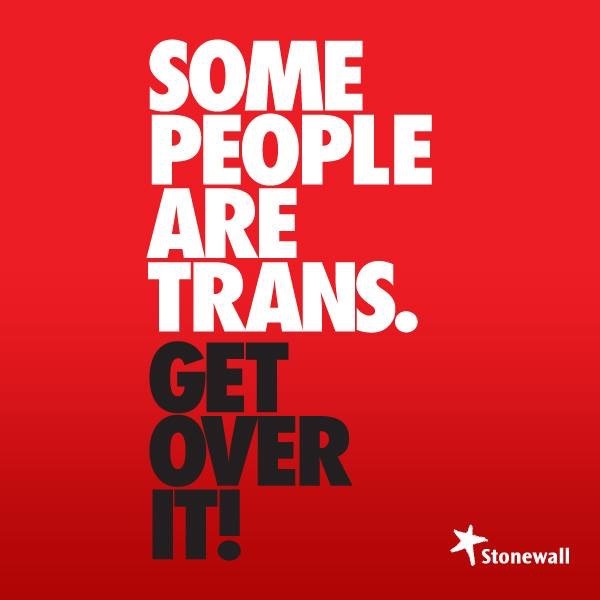 Now we can’t forget that in the past Stonewall have made some massive mistakes such as working with Paddy power after their transphobic TV advert for lady’s day at Cheltenham races (which was later banned by the ASA) but they have apologised for this and stated that they wanted to start a consultation to look at the most effective ways of working together.